"Good Morning America" announced its 2017 Summer Concert Series lineup, featuring some of the hottest chart-topping music stars live from SummerStage in New York City's Central Park. 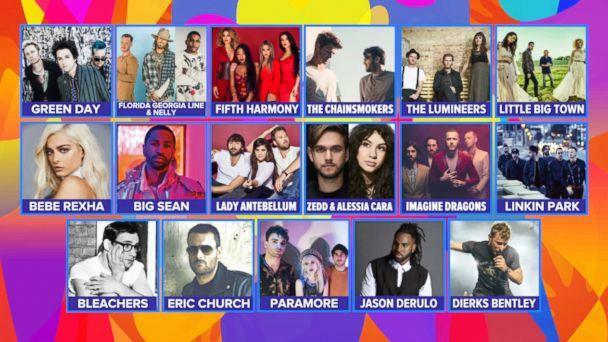 The party continues all summer long as Lady Antebellum, The Chainsmokers, Linkin Park, Zedd featuring Alessia Cara, Little Big Town, Eric Church, Dierks Bentley, Jason Derulo, Big Sean and Fifth Harmony take to the stage. Don’t miss a single summer concert! See the full schedule below and get full details on how to attend. *The Chainsmokers concert (6/9) requires tickets in advance for entry and is sold out. Click here for information. *The Bebe Rexha concert (6/30) will be held in our Times Square studio. The Dierks Bentley concert info will be announced at a later date. All other concerts are free and open to the public and will take place on Fridays from 7 a.m. to 9 a.m. ET. Viewers interested in joining "GMA" in Central Park are encouraged to arrive at Rumsey Playfield via the 72nd Street entrance on Fifth Avenue at 6 a.m. when the park opens to the public. This summer will be even more special for one lucky “GMA” viewer who throws a rocking block party. 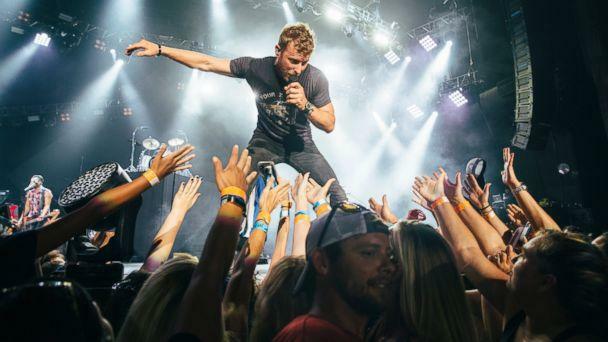 "GMA" and sponsor King's Hawaiian are sending country music superstar Dierks Bentley to one block in America for the ultimate concert block-party event. Click here for full details on how to enter: goodmorningamerica.com/blockparty.